Lucky bamboo, or Dracaena Sanderiana, is a cleverly marketed houseplant that is supposed to bring good luck to the home in which it resides. Growers have learned how to twist and contort this dracaena and leave just enough foliage so that the plant resembles true bamboo. 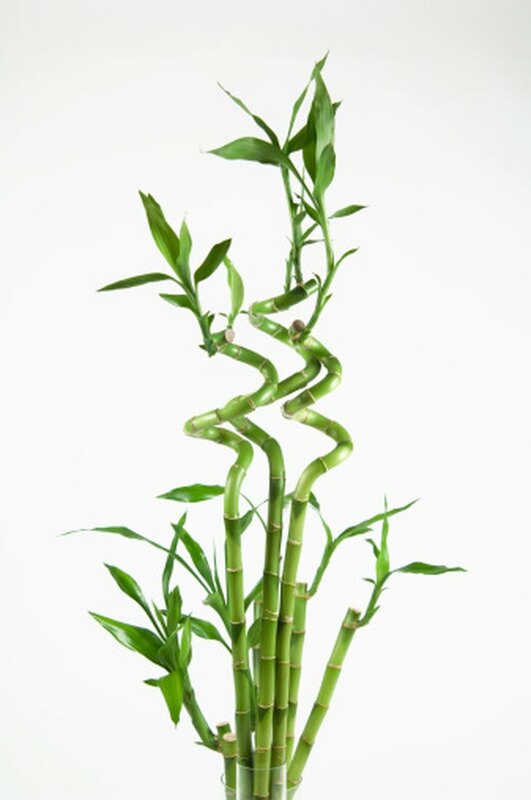 The number of stalks of lucky bamboo determines the type of luck you will receive. Dracaena sanderiana grows in the understory in Cameroon rain forests. In nature, it grows straight up. Commercial growers manipulate the type and amount of light given the plant to prompt it to grow in a twisted, contorted fashion. The purpose of the wax on the lucky bamboo cutting is to keep fungus from infecting the cut-end. The harvester applies the wax. Removing the wax will not make a difference, as the lucky bamboo will never sprout from the top of the cane. It will, however, produce new growth from above the node beneath the waxed end.